Dr. Michelli is a Wall Street Journal, USA Today, Publishers Weekly, Nielson Bookscan and New York Times #1 bestselling author. Kyle Davis: All right, so with us today on GDA Podcast we have Dr. Joseph Michelli. I hope I said that with the proper Italian accent, being a Texan and all. Joseph, how are you? Joseph Michelli: I'm great. Thank you for having [00:01:00] me on. That was definitely a Texas sized depth of your pronunciation of my last name, I think. Kyle Davis: Well, Italian, not so much. Spanish, [Spanish 00:01:10]. Joseph Michelli: All right. Good enough. Kyle Davis: I understand that you are somebody who comes into this world with an organizational background, organizational specialist really, and then you also have a focus on customer experience and all these amazing [00:01:30] stories that we've talked about prior to going to record. For those people who don't necessarily have an understanding or knowledge of your background, could you shed a bit of light onto your story and how you got into where you are today? Joseph Michelli: I'm this incredibly lucky guy who got to spend a lot of time in school, got a PhD in organizational development. Then from that position started to work in industry. 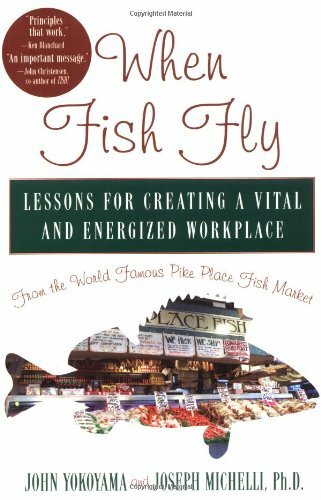 Then after a while of that, started consulting on my own, and have had the good fortune of consulting with and writing books about the Pike Place Fish [00:02:00] Market and a couple of books about Starbucks, Zappos, a variety of other brands out there, like Mercedes Benz. The journey has really been one of trying to understand how do you get customers to come back? How do you get them to be emotionally engaged and loyal to your brand? Then ultimately how do you get them to activate to be real promoters of your brand out in the world. That journey has given me the opportunity to work with a lot of brands who are seeking to do that. Kyle Davis: There's a lot that I'm going to give in [00:02:30] to with getting people to be residuals and keeping coming back and loyal. This is all things that I'm hugely fanatic about and that I do want to talk about. For those who just don't have an understanding of how could someone get a doctorate in organizing? I'm sure they're thinking one thing, but I know that it's another. Can you give the audience some color into what it is that you focus in on? Joseph Michelli: Sure. My training was in system psychology, if you will, trying to understand [00:03:00] how organizational systems change and how they are effective or how they lack effectiveness because of a variety of factors. That's really where the training background comes in. From an organizational development perspective, often it is a matter of effecting change on some high priority mission. For a lot of companies today, something on the order of 92% of recently surveyed companies are trying to differentiate themselves in the marketplace through the experiences they create. A lot of this organizational [00:03:30] change is centered around elevating the customer experience. Kyle Davis: When you're looking at ... This is some conversations that I've had with friends just even offline, because you may not know this, but my background is in this customer experience, customer loyalty space prior to coming back to work for GDA. What we've seen is the older, more established companies are just now starting to kind of pick up the ball on [00:04:00] the importance of the experience and how to make things seamless, whether it be onboarding or just even filling out a web form for information, versus these startups that have just really tried to flatten out and just simplify and maybe even over simplify the process. Is that something that you're starting to see? Joseph Michelli: Yeah. A lot of startups are just the result of customers being frustrated with dealing with brands and then people having the entrepreneurial [00:04:30] spirit to say, "I'm going to solve that problem, because I was that customer." I think a lot of brands have lost perspective sometimes on the customer. They become very focused on their internal processes. There's a lot of legacy processes that get built up over time. It's really a challenge to figure out how do we think like a customer and take off our own company shoes to put on the shoes of the customer? I think your instincts are absolutely right about that, and increasingly I think people are realizing that products can only get you so far. There's such global competition [00:05:00] for products and services. How do you take it up a notch? You create an experience over those products, or you deliver those products through an experience that is different. That gives you some opportunity to be much more creative in the way you bring the product to your consumer and really target what your core customer segments want so that you can customize the service delivery around their wants and needs. Kyle Davis: There's a lot to kind of unpack there. When you're looking at these more established companies that [00:05:30] have these legacy solutions in place and really kind of antiquated process and procedures, just getting them to even think about change can be quite a twist of the arm. Once that process starts and they start to simplify things, are they getting it now because the startups are just rattling the tree, to so speak, or is there still just a lot of heavy lifting that has to go in there to really kind of modernize people? Joseph Michelli: I think they're definitely [00:06:00] getting it. To give you a most recent example would be Mercedes Benz USA. I worked with the leadership team for about four years. Early on in the journey, the senior leadership realized that they had state-of-the-art product, they had some of the world's best automobiles. They have an advertising slogan that says, "Best or nothing." But when it came down to the experience of what people were feeling inside of dealerships, they just weren't matching up. They could got to JD Powers and see they were 22nd in rankings among JD Powers. They needed to do something fundamentally different [00:06:30] to deliver an experience that would cause people to want to come into the dealerships at least to test drive them, since much of the experience of buying cars now is online. Overall, I think they've getting it. It takes some time to turn around, take about three years. Then they're number one on top of JD Powers. They're generating incredibly great revenues, and the experience starts to match up to the quality of the engineering of the vehicles. 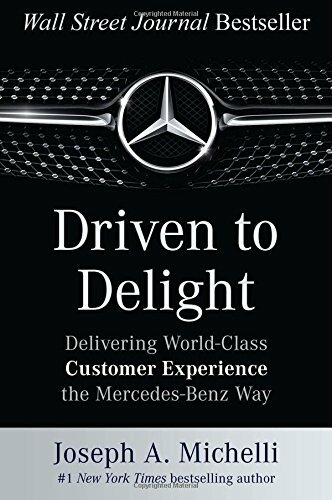 Kyle Davis: I was talking to another actual guest on the podcast talking about Mercedes [00:07:00] Benz and the customer experience, and that they're now working to not just execute seamlessly, but to really improve. One of the things that he or she mentioned was that Mercedes is now putting service centers at or even near airports so that way an individual who maybe is going out of town on business can drop their car off, get the oil changed, get a car wash, vacuum, top off of the gas. Then when they come back, it's all done. They don't have to wait for an oil change. Instead, they can just jump back in their car upon returning from vacation [00:07:30] or work. Joseph Michelli: It's about three miles from the airport to my Mercedes Benz dealership in Tampa, Florida. Literally, they'll store your car while you're on your trip as well and shuttle you back and forth to the airport. Yeah, I think these are the things that are starting to happen. People want value added to the brands that they work with. They want it easy. At the beginning of it all, they want their needs met. Just get my needs met and get that right, and then make it easy for me. Reduce the amount of friction in all of the key touchpoints. Then do something a little extra [00:08:00] to add, [inaudible 00:08:01], or give me some emotional connection to you so I'm going to stay loyal. Without emotional connection, I'm just looking for coupons. I'm just waiting for somebody to give me a better offer at a lower price. Yeah, so it's an art. I think they're getting it. Startups have pushed it. They really have pushed the envelope in that. Kyle Davis: That's something that I like that you mentioned the coupon, because I think when you see a lot of these companies that maybe they're not necessarily focused on customer experience, but more that they're focused on kind of a race to a bottom. [00:08:30] You see this in credit card processing, believe it or not, where somebody's trying to give you the lowest rate, lowest rate, lowest rate, and eventually it's going to have to be free because it's like a race to the bottom. How do you distinguish yourself between something that you're just kind of giving away at a lesser discounted rate versus really providing that value and maybe even charging people more for an improved experience? Joseph Michelli: I like to say the Dollar Store seems to be a pretty good idea until you see the 99 Cent [00:09:00] Store, right? Joseph Michelli: [inaudible 00:09:02] I could keep doing this, playing price limbo. I think if you're only based on product, and the reason that people come to you is based on product and price, you are commoditizing yourself. I think there are certainly some sectors of the economy where that's where you need to be. I think most people, and there's plenty of data to show this, will pay more for a better experience, meaning if they could predict you're going to be more reliable than the person who's cheaper, they're going to stay with you. If they believe they're going to get more peace of mind dealing with you than if they have to deal with [00:09:30] someone else who's cheaper, they're willing to make that investment. I think certain brands understand this customer experience, value proposition, that is I can enhance value if I address your practical needs, your efficiency needs, and your emotional needs. It's really you can ask customers left and right, and they'll tell you they want the cheapest thing always, but when push comes to shove, most people aren't going to the cheapest dentist. There's a sense that we need to have quality, and we have to have people [00:10:00] who care for us and care about us. Fundamentally, I get that many people race to the bottom. I think that that is a strategy of sheer product. If you want to take on a customer experience strategy, there are some other competencies you need to develop, but you can definitely justify a higher price point. Kyle Davis: Mm-hmm (affirmative). Let's talk about circling back to the return factor. How do you make something habitual? It's easy for a legitimate commodity service, something you buy once [00:10:30] and forget, okay, there's not habitual nature in that. When you're trying to build a brand, how do you make that brand something that people keep coming back to? Joseph Michelli: Their habit is such a great question and a great point. 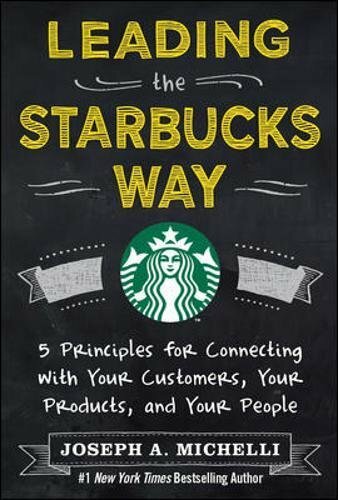 When I worked with Starbucks, it's kind of easy, because there's an addictive product that they're trying to get you to create. Even around that, how do you get people to consume their caffeine in the morning by coming into a café as opposed to simply do it at their homes? How do you create a ritual part of their day? I think that people [00:11:00] actually by nature do want some rituals in their day or rituals in their week or rituals in their month. We are creatures of habit. We also like a sufficient amount of variety. I think that the goal is to find people where they are and give them a compelling reason to choose your option to experience opportunities that they would otherwise want to be seeking for themselves. How do you create that kind of supermarket experience that causes a person who has the habit of going and buying their groceries to want to take that habit [00:11:30] into your pathway? I think a lot of that is the welcoming environment that you create, the ease that you use. Increasingly we're seeing lots of technology brought to the forefront of the customer experience, allowing customers to self checkout, the Amazon's grab-and-go types of technologies, the scan for yourself with your smartphone kind of technologies. It's being able to put out some technologies that allow people ease, and then again to go the extra mile [00:12:00] to find the things in the [inaudible 00:12:02] environment that the next store doesn't care about trying to help people find. Kyle Davis: Yeah. I'm actually really interested. As we were talking today, and I'm going to have to grab my phone, because I left my watch at home, but today's June 16th. Amazon actually purchased Whole Foods. It'd be really interesting to see kind of what they do if they implement that grab-and-go technology in the store so that way the shopping experience is almost, what, effortless? Joseph Michelli: Yeah. There'll be a generation, my children will say to their [00:12:30] children, "It's going to be hard to believe kids, but I actually had to stand in line to pay for things." I think that's going to go away, as far as an option. You're right. The Whole Foods purchase, it really signals ... Everybody who says retail is dead or dying, I think you have to look at what Amazon is doing. They're definitely winning online, but they're also taking tactical approaches to the retail experience. They're buying more bookstores in key geographical areas. Why do you need a brick and mortar bookstore if you're Amazon? Why do you [00:13:00] engage in Whole Foods when you're otherwise mostly warehousing and getting to people's doorsteps? I think you're seeing the technologies of efficiency of Amazon being introduced across both brick and mortar and online. The future, I think, is going to be great for people who can figure out how to dial up the right amount of technology, the right amount of humanness to the customer experience. Kyle Davis: Yeah, I was having a conversation, actually, with a friend of mine who works for a, I guess [00:13:30] you could say it's a luxury women's wear that has probably 40, 50 locations here in the US and a few outside the country as well. I keep hearing this any time I talk to anybody who's in the retail space that eCommerce is killing us, and it is. There's no bones about it, but it's interesting to hear how crippled they sound versus trying to find whatever sliver that they can and just kind of carving out their own niche. Then when you talk about how Amazon comes in and they're using a very tactical [00:14:00] and strategic approach to how they deploy these brick and mortar location, it just kind of makes sense. Joseph Michelli: Yeah, I think there's definitely some handwriting on the wall that the mall world has changed. There's going to be some upper level malls, and people are going to need some place to go and experience shopping. I think that they're redefining the overall layout of the way in which people are shopping. It's just being very tactical about where you put your brick and mortar and realizing that from a consumer perspective, it's not retail versus [00:14:30] online. It's really just buying wherever I'm inclined to want to buy. Today I might want to buy something online. Tomorrow I might be out and about and want to buy in your store. It's having the ability to service that customer across those channels in ways that always feels like your brand. Kyle Davis: Yeah. It's just fascinating to me. I agree with that on so many different levels. One of the things that we were just talking about though a moment ago was how do we get people to return? How do we make something habitual? [00:15:00] I know that maybe for some people like, "What's the difference between that and loyalty, they seem to be the same thing?" To me, they're different. I'm just wondering how they're different for you. Joseph Michelli: Yeah, well first off, I think of three levels. I think of emotional engagement, right? There's practical engagement. That means I need what you're selling, so I'll buy it from you. If I really don't feel that there's a great deal of emotional connection that your brand fits who I am or it fits my lifestyle or cares about the way I shop or think or do, then [00:15:30] I'm going to be open to other suitors. As soon as I kind of lock in and say, "All right, you fit me. You're an extension of my lifestyle, my personality. I'm going to connect with you. You seem to be really working hard to provide quality thought leadership or whatever it is that you're selling, then I'm going to stay engaged with you." Along that journey of emotional engagement, if I buy quality experiences from you and I want to purchase more, then I'm going to stay loyal. If you get me to translate my loyal into advocacy, kind of [00:16:00] encourage me to make referrals to my family and friends, then I'm likely to go out and speak favorably in the marketplace for you're making it easier to acquire new customers. Yeah, I think unless you can emotionally engage me, just habitual practices are not enough to get someone to truly be your buyer. Kyle Davis: Yeah. You're seeing that, and I don't want to name names, but everybody knows exactly who I'm talking about, but you're seeing that in the ride sharing apps where you can hail a car via your phone. [00:16:30] If somebody has a problem with the politics or the policies of one company, there's no loyalty there. They'll just download the other company's app and just start getting rides from the other company. It's that same thing where there's the return to ordering your car via your phone, but the channel through which you do it could be vastly different, because there's no loyalty. Joseph Michelli: ... it's a fundamental level that there is a greater concern about cause and purpose to almost all activity. I think my generation may have done so many things mindlessly, but clearly the millennial generation I think really does care about the heart and soul and culture of organizations. Great customer centric brands have great cultures. I worked with Zappos for a long time, and I can tell you that this is a brand the genuinely [00:17:30] cared about its people, defends their cultural values at high level, creates great experiences for the employees, and then there's a derivative throughput to the customer experience as well. Yeah, I think that consumers are always going to look for emotional engagement and resonance to the brands that they associate with, maybe even more [inaudible 00:17:48] future generations. Kyle Davis: The next thing that you kind of talk about is how do we get somebody to be a promoter of the brand? I think Malcolm Gladwell called them, what, mavens? I'm trying to remember what [00:18:00] the book was. How do you get somebody to say, "Okay, I've been coming here. I now am really tied into the brand. We all know that the best form of advertising is word of mouth. How do we get people to start talking about us and creating that buzz and bringing in new customers and new experiences? Joseph Michelli: One of the things that everybody talks about the Net Promoter Score, which is this question that says, "How likely are you to recommend us to family or friends, or friends and associates?" The scale is a 0 to [00:18:30] 10 scale. If you get a 9 or 10 on that, that person is a promoter. Then you subtract all the people who are giving you sixes or below who are called detractors. Then you have your Met Promoter Score. In the end of it all, that score is really good at predicting the likelihood to repurchase or the likelihood to spend more money with a brand, but it doesn't necessarily mean those people are going to actually go out and speak to their friends about it. The likelihood to recommend, not an actual recommending. I really do think you have to help people, particularly those who are favorable to speak [00:19:00] fondly of you those nines and tens, you really have to reach out to them and remind them that your business is based on referrals and that you appreciate them inviting [inaudible 00:19:10] that they enjoy. That really is a beautiful thing, because if you're able to serve a certain segment of the population in such a great way that they feel fully emotionally engaged, then they're probably associating with a lot of people like them who you would be able to serve well also. Kyle Davis: How do we get beyond NPS, or Net Promoter [00:19:30] Score, and get into ... I think I know what you're going to say, but how do we get people to really go out and advocate for us? Joseph Michelli: First off, I love Fred Reicheld and his book "The Ultimate Question", but I don't think you can ask just one question of consumers and get enough from them. I think NPS is important. I think asking lots of questions about satisfaction along the journey are important. I think there is a need for us to literally let people know that they are part of what makes our business successful. [00:20:00] There's a metric that Gallop developed years ago called the CE 11, the Customer Engagement 11. Ultimately it asks is this company perfect for someone like me? I can't imagine a world without this company. If your customers were willing to say, "I can't imagine a world without GDA," for example, or, "I can't imagine a world without the Michelli Experience," then what you're essentially getting is people who don't want you to go out of business any time soon. I think what you're trying to message back to people [00:20:30] is the way we stay in business to provide you these incredible experiences that you want is by virtue of referrals. It's helping people understand that you need them as part of your community to continue to support your efforts. You hear it a lot on national public radio where they do their pledge drives, right? "We need you to keep us being able to share our message to the masses." I think that's the same kind of subtle messaging you have to do with your customers. Then you have to work on all the reasons that [00:21:00] they don't. I have a favorite restaurant, and it's not far from me. Really tiny little place. I wouldn't want to tell you the name of it, because my fear is that you're going to want to go there, too, and then it's going to be harder for me to get in, right? We have to figure out ways to help consumers who are worried about making a referral, and really reassure them that we're going to be able to manage increased volume with new satellite opportunities. Kyle Davis: Do you find that maybe companies when they [00:21:30] think about their brand or something else like that that there's a level of false feeling that people might be off-put by asking for that? Joseph Michelli: Yeah, I do. Again, it's how you ask and when you ask and who you ask. I think those are all important things, because it does feel a little mercenary, right? Like, "Please help me stay in business," kind of thing. I also think we're story tellers as human beings. We want to tell stories [00:22:00] of great brands, and we want to do 140 characters worth of, "Wow, I was blown away by what this company did." Sometimes I think the best way to begin this whole thing is really thinking about how do we design experiences that are going to cause people to want to share them and give them easy ways to share them? Just having like buttons on your pages or being able to share podcasts easily, those are all the same kind of ideas. The less effort I have to go through to share a podcast [00:22:30] or to share some story, the easier it's going to be. I think we have to just think through all those different elements of it. Kyle Davis: Yeah. I'm with you on that. How do we simplify the process? Is it making the like button bigger, the share button connected to every social channel possible? I get all of that, but I think sometimes there might be just a return to just simply asking somebody. I find sometimes when I'm talking to people who I used to do sales with or whatnot that [00:23:00] there's a fear there of asking somebody for referrals. I'm like, "It's okay. What's the worst that's going to happen?" Joseph Michelli: Yeah. That's a lot easier for me to do than to ask for the close of business. If you can ask for the close in a sale and you've already sold somebody something and they liked what you sold them, it seems a heck of a lot easier to say, "Oh by the way, if you liked what we did, we're always appreciating referrals you might have. If there's anyone you want me to reach out to," or just encouraging them to go out into the public [00:23:30] square and shout your name. Kyle Davis: Yeah, I think that's just a huge opportunity that people, for whatever reason, they just feel like it's pushy. I'm like, "It's not." It's the easiest thing in the world. Let's do a thought-jogging thing, and I'll tell you everybody that you need to refer me to. Joseph Michelli: Right, and even if they don't give you the name, the very act of asking causes them to think about it, which then increases the probability that they might say something to one of those people they thought about and share their name with you. Kyle Davis: [00:24:00] In your work, you've come across and you've written about some incredible brands. We've mentioned Mercedes, and we touched on Zappos, and even Starbucks as well. When you're going through and you're also looking at I think you've done work for, what, the Pike Place Fish Market, Ritz-Carlton, UCLA Health Center and all that. What are you finding in each one of these seemingly very different segments [00:24:30] of the economy? What are their similarities? Then what are each of them doing individually that really helps differentiate them in their own space? Joseph Michelli: I think every one of these brands is trying to figure out just a few things that they can deliver consistently every single customer every single time, or every single patient every single time. They're trying to identify these vital few customer experience principles that they want the organization to constantly try to deliver in every interaction. That's the important [00:25:00] first step. Once they've done that, then they're cascading that through the culture, emphasizing the importance of everybody doing it. They're building it into their operations. They're literally strategically planning how do we make sure this comes through in our marketing department? How do we make sure our IT delivers against it? Let's say one of the components of your principles is effortlessness. How do we make sure that we communicate that we're committed to effortlessness in marketing, we're committed to effortlessness in the way we do our IT spend or the way our operations [00:25:30] looks at the customer journey from end to end? They tend to be very good at defining what are the vital few that are differentiators for their brand, which you might view as credible, relevant, unique and durable differentiators. Then they go from there and they start to operationalize it. They do the touchpoint mapping. They design the experiences around it. They activate their people process and technology to constantly be trying to make improvements on that. They listen to customer data. They use that data to create innovative [00:26:00] strategies to make even greater improvements across those experience principles. That's pretty much the gist of it. They all come off a little bit different, in terms of what they want to achieve. 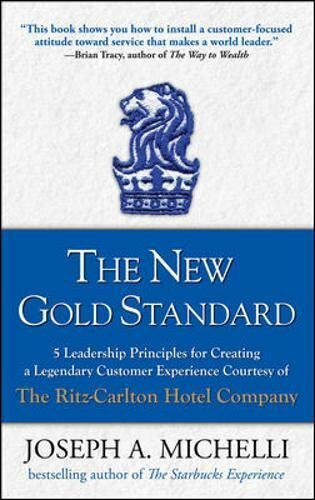 The Ritz-Carlton is about nurturing people at a level of creating the home of a loving parent. 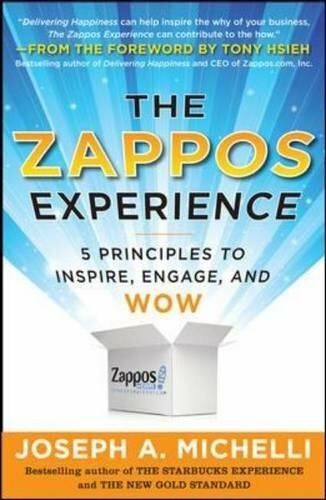 Zappos is about delivering [wow-full 00:26:17] happiness to people at every opportunity they can. Those are very different value propositions supported through the experience design and the experience execution. Kyle Davis: One of [00:26:30] the things that you just said, which I love, because we can geek out on this if you want to, but it's touchpoint mapping and how important it is just to mitigate as many touchpoints as you possibly can. I know that there's a variety of different things that we can call touchpoints, but for you, what is a touchpoint? Maybe for the audience, what is a touchpoint? Joseph Michelli: Really for me, customer experiences reduces itself down to this: it's the perception of people across all interactions with the brand. [00:27:00] Now we need to spend some time understanding where are perceptions being forged and where are the interactions taking place. These are going to be virtual, and they're going to be interpersonal. There are all kinds of touchpoints. When you do the mapping, what you're really looking for is, "I am a customer. I'm walking into you. I represent some segment of your customer base." Based on that, help think through my lens. What am I wanting in this phase of my journey? Normally it's in the very beginning phases [00:27:30] it's in marketing and trying to form impressions about whether or not you're even a contender for my business or not. Then it's kind of winnowing in to deciding, "Yes, you're in the contendership, and now I really am going to do business with you." It's really walking through that journey and saying, "What is the customer asking themselves? What are they seeing, feeling, doing, touching, hearing during that phase?" then starting to look at what are the high value touchpoints, the ones where it's a make or break for them, often called moments that matter or moments of truth, and then really [00:28:00] focusing your attention on how do we make the highest level interventions on that to resonate with the customers that we're trying to attract? That's what it comes down, I think, in the final analysis. All of that has to be validated against customer perceptions. It's one thing to say this is what we think the journey is. Once you've outlined it, you got to get back to customers and validate your perceptions. Then how are you going to measure it, particularly after the moments of truth? How do we measure the transactions, the emotional engagement, and the loyalty? Kyle Davis: Yeah, one of the [00:28:30] interesting things is I was actually talking to Tim Sanders on the podcast a while ago. He mentioned a brand that he was working with, and they said that from initial conversation to close the deal, there's eight touchpoints. He said, "Eight, let's walk through this." Then when they really walked through the process, there was 27 just from contact to close. Then there's countless impressions or touchpoints prior that was happening through marketing and everything that happens [00:29:00] through retention on the back end. It's interesting for companies to do that thought exercise of how many touchpoints really are impacting, but more importantly what touchpoints can be removed to remove friction, and what touchpoints can be improved or even built upon to improve satisfaction or experience? Joseph Michelli: I think the removal of touchpoints are really crazy. I think very few brands think like that. They think about adding more complexity instead of reducing the complexity. Particularly it's from the customer's [00:29:30] perspective. Yeah, I think the thought exercise, I think it's important to keep that as a fluid dynamic process within organizations, and not unlike Lean. It's just taking a little more extreme view from the vantage point of the customer to [inaudible 00:29:43] that you're not only generating value that comes from the organization or from the efficiency of the organization, but value that's deriveably appreciable and palatable to the customer. Kyle Davis: Are we going to try to talk about different ways that we can manage projects [00:30:00] like Lean and Agile and Six Sigma and all that stuff? Joseph Michelli: I worked with teams in all these organizations that use various versions of this. A lot of Agile out there right now I can tell you a lot of Scrumming going on. Kyle Davis: Oh, Scrumming's a thing. Joseph Michelli: Ultimately the beauty of it all is as long as you have kind of discipline processes of continuing to work through value creation, it doesn't matter what you call it. It's kind of more of the tolerances and the skill levels of the people in your organization. [00:30:30] In all cases, let's fail fast, let's fail forward, and let's learn how to deliver ultimate value and clean up the waste that customers encounter. Kyle Davis: Oh my gosh. Let's go find a VC and get some funding for something. Yeah. You [00:31:00] see that in everything. I am a huge advocate for failing fast, but I'm also a huge advocate for not failing stupidly. If it failed, it failed because it wasn't a hit. It didn't fail because it was just something that was dumb from the beginning. Joseph Michelli: The goal is not to fail. Joseph Michelli: I think the whole conversation around fail fast implies this notion that somehow we should fail, and let's do it as quickly as we can. I think that really what it means is if you're going to fail, let's [00:31:30] make small bets on this failure. Let's iterate these failures. Let's rapidly prototype what we want to put out in front of the consumer. If the consumer doesn't like it, let's pull it back and fix it and tweak it and move it onto the next day. Let them look at it again. Oh, they like that much more. Yay. Was yesterday a small fail fast? Yeah, I think it was, but in truth, it was a learning opportunity to succeed today. Kyle Davis: One of the things that you just also mentioned was that keeping things dynamic, if you're looking at your touchpoints, touchpoints may change because the channel may change through which they come through. [00:32:00] Facebook is hot today, but it may not be around five years from now. Messenger may not even be a touchpoint to even consider. Keeping things constantly dynamic and in flux, if you will, and almost always being on one foot is really where you should be, versus trying to cement something and then almost becoming a prisoner to the own walls that you built, because you had to be so firm in your beliefs on something. Joseph Michelli: Absolutely. I think learning from the globe, when you talk about Facebook, look at [00:32:30] where we're going now. We're seeing so much more activation in messengers. WeChat in a global sense is just this beast of an ecosystem for interacting with customers on, allows them their social, allows them to do all kinds of things in that ecosystem environment, from selection to purchase to delivery. To me, I think it's being very open to the realization that humans are always going to want things. They're going to want them quickly. They're going to want them easily. They're going to want people to care about them. Figuring out how [00:33:00] you leverage technology and how do you leverage your own internal processes to continually refine your journey to deliver against those kinds of expectations. Kyle Davis: Yeah. One of my favorite startup phrases is if you're not growing, you're dying. The whole concept of not always being in the gym and in an awkward position with your business and with your work is something that boggles my mind when you see these people just get so rigid into their [00:33:30] systems and process and procedures, and then they forget that everything passes by six months later because somebody just tweaks something, or maybe they've removed information on a customer fill-out form, different things like that. Joseph Michelli: Yeah, no. I'm really grateful, because I've gotten the opportunity to work with startups and to work with kind of adolescent companies, almost senile companies, for that matter, in terms of the age of development. You see [00:34:00] there are strengths to all of them, and there are different challenges. The startups, this constant need to keep growing, sometimes you just have to sit still for a bit, because activity is really not the thing you need to be doing in a marketplace at that time. It's good to see all of the different phases of business development. I'm blessed, though, that everybody I get to work with I think has a [inaudible 00:34:22] heart for delivering great experiences to [inaudible 00:34:25]. Kyle Davis: Yeah. One of my favorite things is that there is a difference between activity and progress, [00:34:30] because when someone's drowning, they're pretty active. Kyle Davis: You got to figure out how you're progressing forward. There is a time and a place to sit still and then contemplate what the next step may be, especially as a company grows to a certain size. Referencing back to Amazon today, I'm sure this decision to acquire Whole Foods was not something that Bezos said yesterday over coffee. Joseph Michelli: It was four years ago on the grab-and-go [00:35:00] technology where they were saying, "Let's envision a world where we can use our beacons and AI to get the shopping experience that's seamless through the checkout." Kyle Davis: Yeah, and I'll be interested to see how this goes, because I've just started using Amazon Prime now for my grocery shopping. I don't go to grocery stores anymore, which I like it, I don't like it. There's nothing against Amazon, because I did this Fresh Direct stuff in New York City as well, but I'll be interested [00:35:30] to see what the quality of food and stuff is that may come out of Whole Foods now. Joseph Michelli: Yeah. Obviously it's going to be a big part of it. Whole Foods also needed some life injection. They had some bad quarterly problems and shakeups and in leadership. This was an optimal time, I think, probably for both. Kyle Davis: It should be fun. Then I guess one of the things that you did mention was the fish market and the fish mongers and everything else. I think that's kind of your origin story, [00:36:00] right, your claim to fame? Joseph Michelli: Yeah. I hope so. It's the first book that I released. It's such a great ... Johnny Yokoyama, I love him. He is retired now from running the fish market, but he's still the owner. This is a guy who wanted to own his father's produce stand in Pike Place Market area, but unfortunately they were relocated in the relocation camps just post World War II as Japanese Americans. He couldn't take over his father's business and kind of reluctantly [00:36:30] got involved in working at the Pike Place Fish Market and ultimately purchased it. He didn't have a heart for customer service. He would tell you that he cared a lot about the product fish, but he did not care much about people and was pretty [inaudible 00:36:42] people based on his own life experiences. Working with Johnny, and getting to know him, and watching his personal transformation, and really seeing a leader who was at the top to make his organization competitive and viable, and went through a lot of personal transformation to make his business transformation happen, [00:37:00] I couldn't be more delighted than to have that be a part of my portfolio of great brands [inaudible 00:37:06]. Kyle Davis: You mentioned that it was ... How much of it was a personal transformation that then impacted the business? Or was it the business and the individual that transformed at the same time? Joseph Michelli: I think his business was about to go bankrupt. I think there was a catalyst that probably had pretty profound personal impact. I think the reason it was going bankrupt [00:37:30] was because Johnny had not prioritized people much in the equation. I think once he understood that ... Peter Drucker says, "We're not in business to create a profit. We're in business to create a customer. It's through customers that all profits come." 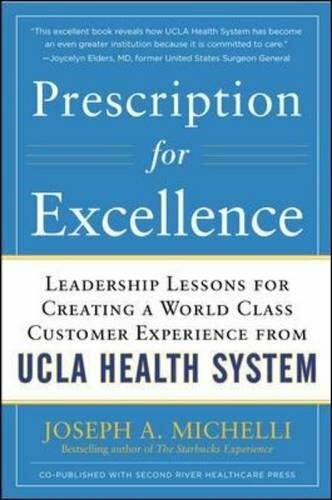 I think until Johnny understood he needed to create a customer and that he needed to care about people at a different fundamental level, both his employees and his external customers, that was the pivot point. With that personal awareness and changing the way [00:38:00] he interacted with his people and customers, that's what took them from bankruptcy, really, the very close edge of bankruptcy to being a world famous brand that certainly outsells all the other competitors by a long stretch in the Pike Place Market region. Kyle Davis: What's next then for you? What other organizations or transformation stories are you looking at, or are we keeping our eyes peeled? Kyle Davis: Just to wrap this up and put a pretty little bow on it, I know that we talked about the fact that you do speak, but you also do consulting work as well. I'm just wondering if you could just touch on that for the listeners. Joseph Michelli: I was just in a speaking engagement the other day. As soon as I came out of it, the senior leadership that was present said, "Can we hire [00:39:30] you to come in and do an audit of how our customer experience is going from the standpoint of our culture, our strategy, our customer experience design, our voice of our listening platform, our metrics for voice of the customer? Could you come in and do a diagnostic assessment on how we're doing on that as an independent party? Then based on what you conclude, if you can stay around and help us identify how we can tactically approach getting better, in terms of the experience that we're delivering for our customers?" That's [00:40:00] a pretty common thing for me to do, and vice versa. Many of the clients that I consult with ultimately bring me back in to speak on their behalf around issues. Maybe it's firing up the staff as they're doing the launch of a new customer experience mantra or something like that. Yeah, I'm really fortunate that I love to speak, and it is a big part of what I do. I love to write, and that's yet another way of me trying to share stories of great brands and help other people learn from them, in terms of their journey. Kyle Davis: Awesome. [00:40:30] I think that's a great place for us to wrap up. Look, ladies and gents, if you want Dr. Joseph Michelli ... Did I say it right this time? Joseph Michelli: Yeah, that's pretty good. That's pretty Texan. Kyle Davis: Yeah. Yeah, still pretty Texan. Maybe I'll throw a y'all in there. Then y'all should probably give GDA Speakers a call. You can do so calling 214-420-1999 or by visiting GDASpeakers.com. Again, for the transcript, show notes, I'm going to put links to all the books also there as well on GDAPodcast.com so you [00:41:00] can get all of that. Joseph, thank you. Joseph Michelli: It was my pleasure. Thank you. Kyle Davis: Thank you. Bye.